The next key issue in finding your niche is to profile the audience you’ll find in that niche. Whether you are selling products or information related to dogs, health and beauty, travel, or anything else, you must ask yourself “who will my audience/readers be? Baby boomers? Single people? Work at home moms? MLM people? Sometimes it takes a little time blogging to realize who YOU are attracting. Is it the 24 to 30 crowd? Older people striving to be young and healthy? You can do some preliminary profiling, though to see what sort of people are already involved in a certain niche. You can even turn to your own existing social media sites for some indicators. For instance, are you being friended on Facebook mostly by males or females? You can learn a lot about your current friends and subscribers on Youtube and Facebook by exploring “Insight”. It will give you information on how many men, women, and different ages are hitting and commenting on your social networks. It can be surprising sometimes. And you may have an “aha” moment where you realize that you are already attracting a certain group of people. If the niche you are considering is not relevant to the organic following you’ve already developed, you might want to consider a different niche, or tweak the niche to your current crowd. Let’s use dogs as an example again. Let’s suppose you’re mostly interested in dog training. You learn through research that it’s mostly 20 to 40 year olds with children that are looking for dog training information and products. But your organic social media following is mostly senior citizens. The challenge is to either change your niche altogether, or to tweak your dog niche. Perhaps your niche would become training house and apartment dogs to be good companions for the elderly. You could feature content about how great it is to have a dog companion as an elderly person, but training your dog is essential to your needs. You get the idea. People often make the mistake of creating a niche around the big 3 niche groups: money, relationships and health. This can be a mistake because even though these are the three most successful and profitable areas, they are so broad that your message can easily get drowned out. If you work in one of these areas, be sure to narrow your niche to a part of the field. So for instance, rather than “health”, you might focus on “exercise” as a part of health. Finally, you need to be sure that your niche can be monetized! (Unless you’re just online for amusement or to promote your ideas or cause… which many people are, by the way!). To monetize your blog, you’ll have to think of who will buy, what you can sell, and how you’ll connect the two. Think of what you are selling. It could be an original product you create, such as an e-book with information for your readers. It could even be affiliate products whereby you offer your followers information relevant to your niche that is being sold by someone else. Either way… and usually you will combine both methods… you’ll be monetizing your blog. And for most people, that’s the overriding purpose in blogging. I suggest you begin the whole process by writing a list of your interests. Think of things you’d like to do if you became an instant millionaire and never had to worry about money again. Those are the things closest to your heart. Then develop a list of keywords related to your favorite item on the list. See who else is interested in it, and if that coincides with the kind of people you’d like to work with (ie., socialize with, write for, do videos for, etc.). Finally, make sure there’s a way to make a profit in your niche. Soon you will find your niche. The next step is to go after it. MLM people are a big crowd to contact because they are listening to their uplines and selling off line. There are not so many MLM companies out there that know how to market. We don’t push things in their face, rather, we romance them as Mark Hoverson says in many of his teachings. We find a person and get to know them. They in turn start following you. They like you. The trust you, then they will buy into ANYTHING you are selling to them. Why? Because they know you. Think of if you are predominately a social person that just loves to use social media or are you a pay per click person that wants to set up a campaign. Identify your strengths and work on them. Know your weakness and let that go. Hire someone else to do it. If you are a strong Technology person, write about that. If you are into helping people, do articles and blogs about self help. You have such kind words to say all the time. I love following your blogs too. And you accomplish it, Donna! Your insights and explanations are great to understand the whole process! Thanks again for the careful analysis. .-= Omar estrada´s last blog ..¿Que Modelo de Negocios Implementar II =-. .-= Sharon Hartman´s last blog ..Do You Enjoy The Simple Things In Life =-. Love your analogy Sharon! That’s a great way to sum it all up. I like your scientific approach in this one since I honestly think Internet Marketing is an Art as well as a very structured “Science”. Once we “do the homework” (having your guide is a great asset!) we will be in the right path to get the results we want. Without a serious “niche research”, we will be walking blind. Thanks a lot for your clever tips! I like the “scientific” approach because to me, it science is intuitive anyway. Especially String theory, Quantum Physics, etc. It is something that encompasses intuition and that’s how I personally see things. But breaking it down for people is what I am trying to accomplish so when new people search for a way to free themselves and share their gifts to the world, it can be easily done. Great advice and love how you have simplified the process. So easy to get overwhelmed. Keep it coming! I didn’t know about “Insight”. Thank you! 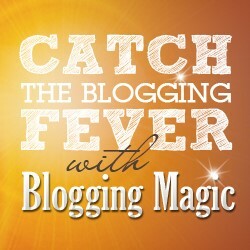 .-= Christy Dutilly´s last blog ..Free Content Tool for Bloggers! =-. Thank you for your reply Christy. As I have said above, I am trying to simplify things for all the “newbies” that are coming into the fantastic world of Network Marketing. Most people get overwhelmed by it, so I am setting the tone to make it easy. Donna, great 2nd half to finding your niche. Focus, focus, focus. Can’t say that enough. It makes all the difference in the world! .-= David A Haines´s last blog ..The 5 Pillars Technology – Pillar 1 – Company Management with Integrity =-. YES David…Focus is so important. We have to train ourselves to do that! Hey there! Oh, this is an important post as finding your niche is a huge part of growing your business…& sometimes it’s the hardest part! I’ve been struggling with this too but will take your advice and do a little more research! .-= Becca´s last blog ..Unplug &amp Find Your Creativity Again =-. The first part was really interesting… but this one really rocks! I think your giving a complete guide to find a niche and start a business. .-= Marco Amaro´s last blog ..¿Cuál Es Tu Estrategia de Marketing En Internet =-. I’m trying to make it easier for people to understand. This is valuable information for me and for many people looking to do business on-line ..
we must focus our site to people who really would be interested our product, sharing information for them to interact in social networks to build trust, which is a very important point in this business. .-= Magali Delgado´s last blog ..Comunicación Participativa =-. Love your statement a bout romancing our prospective markets. That resonates so much more than “selling.” We are in the relationship business no matter what niche we are in. You always have such great tips for new bloggers and gentle reminders for us more experienced ones. Part of the reason so many entrepreneurs flounder around the internet is because they are not focused or specific enough in their niche. In order to be effective we have to know who our audience is. You bring up some great points and some great steps to narrow down exactly what a nice should be. Thank you for all of your insight. Great for newbies and the experienced marketer. .-= Danielle Zack´s last blog ..Do You Want to Win the Race =-. THANK YOU DANIELLE! I’m just breaking it down these days! Yes, I am trying to get down to the nitty gritty of things for all my “newbies” who need the information of how-to’s. Fantastic post Donna, I love the dog metaphor to give a clear picture on how to narrow your niche and focus on the target market. So often we are so passionate about what we do, that we tend to forget who we are marketing to. .-= Wendy MacKay´s last blog ..Law of Attraction – Working For You =-. .-= Karla Setchel´s last blog ..Reducing Pain and Inflammation with Natural Antioxidants =-.